Welcome to Week 51 of Year 7 here at PPF! Welcome to Week 50, Year 7 of Paint Party Friday! This week, the random.org number generator chose #50: Mona Pendleton. 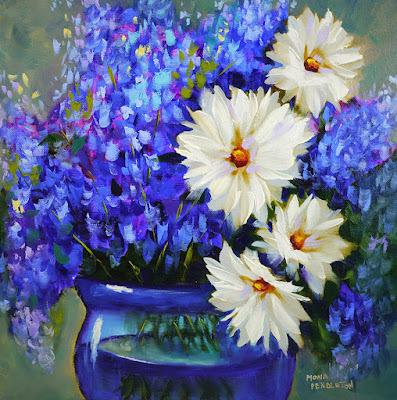 Last week Mona shared a beautiful bouquet of daisies and delphiniums. Her lovely painting has us dreaming of Spring flowers. 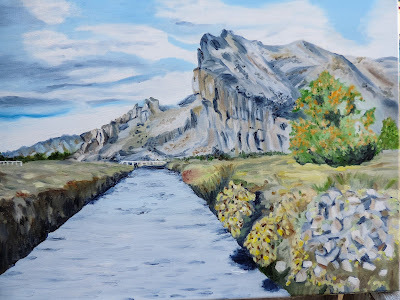 Please be sure to stop be Mona's blog to see even more wonderful paintings (she is taking part in a 30 paintings in 30 days challenge). Welcome to Week 49 of Year 7 here at PPF! This week Random.org chose #24 - Marie-Or. Marie photographed an intriguing landscape on her travels last year and was inspired to paint this beautiful oil painting of the view that made her pull over while driving. Hope you find paint-worthy inspiration this week! Welcome to Week 48 of Year 7 here at Paint Party Friday! This week our random number generator chose #31 - Deepa of Hues and Shades. Deepa posted many thoughts about her artwork and process (with lots of images!) as she participated in an internet art meme/challenge. 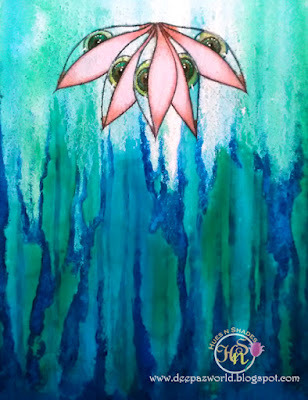 Please drop by and learn more about her art!